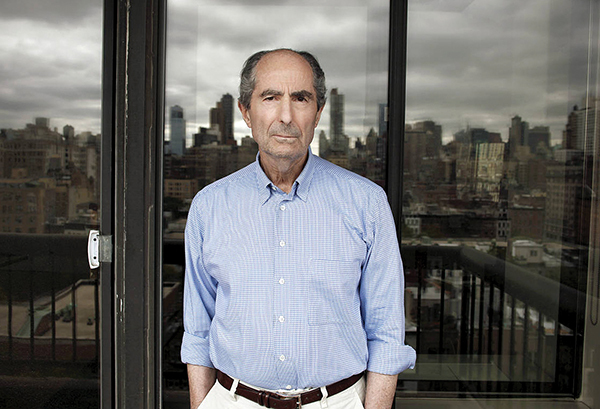 Philip Roth at his Upper West Side apartment. JUNE 7, 2018 – I am one of the Exiles of Newark, New Jersey. No doubt I would have been there, too. Except that, to bastardize the words of Agnon, through a historical accident – the upward mobility of postwar Jews, the riots of 1967 – I was born in one of the villages of the Diaspora. It always struck me that Newark must have been one of the most extraordinary communities of the American Exile. All the currents of Jewish life in early 20th century America – socialism, Zionism, Reform, Orthodoxy, Yiddish culture, labor – flourished in its environs. In 1948, nearly 60,000 Jews lived in Newark, served by scores of synagogues. The caliber of rabbis, cultural figures, political leaders, labor and social justice advocates, business leaders, and philanthropists that emerged from that place is astounding. And it disappeared so incredibly quickly. Roth left Newark, but wouldn’t leave it behind. Newark – with its concentration of Jews anxious to become optometrists and entertainment lawyers and accountants; its polio terror and stickball in the streets; its racial tensions and Nazi paranoia – was a prism through which he wrote about America. Now that Roth is deceased, the American Jewish community, by virtue of that adjective “American,” can start doing what it always does: remaking him in our image. Which is rather a shame. Because Roth at his core was the wicked child at the Seder. He dared to fling our pieties in our faces and say, “Yes, but what does all this mean to you?” Starting with “Goodbye, Columbus” and running like a crimson thread throughout his work, he satirized and criticized the Jewish community as only an insider could. Ultimately, Roth’s subject wasn’t Judaism, it was America.  It’s so perfect, because Ozzie found the exact question to prick everyone’s sensibilities: the rabbi’s platitudes, the newly emancipated liberal Jews’ boundaries with their Christian neighbors, and of course the sexual proclivities that Roth would explode in “Portnoy’s Complaint” (1969). Or consider his 1993 novel, “Operation Shylock: A Confession.” The narrative itself is outrageous. A famous Jewish writer named Philip Roth discovers that some nutjob has taken the alter ego “Philip Roth” and is spreading the gospel of “Diasporism” – leading Jews out of Israel and back to Europe. An anti-Semitic fantasy! But here’s the rub: like any great critic, Roth knew intimately the subject he criticized, which ultimately rebounded back on himself. If he mocked Israel as a modern Jewish shibboleth, “Operation Shylock” also shows a deep intimacy with its people, its culture, and its totems. For instance, his true (not fictional) dialogues with Israeli author Aharon Appelfeld in the book (Appelfeld died just this past January) reveal sensitive insights about what, exactly, Jewish identity means at the turn of the 21st century. 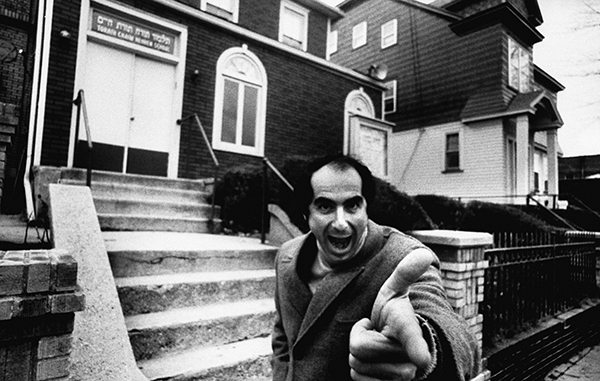 Ultimately, Roth’s subject wasn’t Judaism, it was America. He asked: Why shouldn’t the Jewish lens be as valid as any other lens through which we can understand America? After all, Faulkner wrote about America, but through the perspective of the American South. So did Steinbeck, via the western frontier. So did Ellison, and Kerouac, and so on. America is big and complex and refracted into a thousand hues. Who’s to say that America’s freedoms and dysfunctions aren’t perfectly represented through the eyes of Bucky Cantor, a Newark playground director terrorized by polio (“Nemesis,” 2010)? Or, for that matter, Roth’s masterful creation Swede Levov, the protagonist of “American Pastoral” (1997)? His name is the perfect encapsulation of Roth’s work: a Newark Jew who marries a gentile beauty queen, flees to the Jersey suburbs, and expects that his Nordic looks and nickname will help him shed his history. But the shtetl, and the past, is as present as his surname. America does fascinating things to the identities of its immigrants and their descendants. Those complexities are more than enough to stake a career on. We were blessed to be of a generation that had such an articulate master to challenge our assumptions and satirize our self-righteousness. If we grapple with Roth seriously, we will understand ourselves better, because it will be much harder to hide. Rabbi Neal Gold is a teacher, writer, and scholar based in Massachusetts. His website is nealgold.net and he can be reached at ndzahav@gmail.com.